Scarborough and Ryedale Astronomical Society were invited into Barrowcliff Primary School to talk to the infants today. Society secretary Andy Exton FRAS gave the children an informative talk on the Solar System and some of the major events that man has had in space over the past half a century. The children have recently been learning about the stars and planets and it certainly showed with plenty of correct answers to questions such as identifying the planets and phases and features of the Moon. The Solar System section of the talk covered the stars (mainly our Sun), the planets and other bodies including satellites, asteroids and comets as well as an explanation of days, years and seasons and how they link to the position of the Earth and the Sun. Following this, they were introduced to some of the man made objects in space, including Sputnik, Voyager, Hubble, International Space Station (ISS), Curiosity and New Horizons as well as the first man in both space and on the Moon. 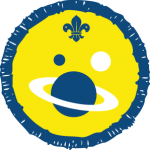 This entry was posted in News, Public Outreach, Schools and tagged Andy Exton FRAS, Asteroids, Barrowcliff Primary School, Comets, Curiosity, Hubble, ISS, Moon, New Horizons, Planets, Solar System, Sputnik, Sun, Voyager. Bookmark the permalink.